The World is full of odd architectures. Some of which were covered earlier in the "Weird House Around the World". I now present two book shaped buildings. These buildings may be odd looking but these are definitely not weird. I would say that these are beautiful and very thematic. One is located in Ashgabat, Turkmenistan and the other in Kansas City, USA. Also known as "House of Free Creativity" it was inaugurated on October 23, 2006 by the then President Saparmurat Niyazov and cost about $17 million to build. The building houses media organizations of Turkmenistan. Unfortunately further details about this book shaped building are not available. It may be worthwhile to note that above images are of the south façade of the Parking Garage of Kansas Central Library. 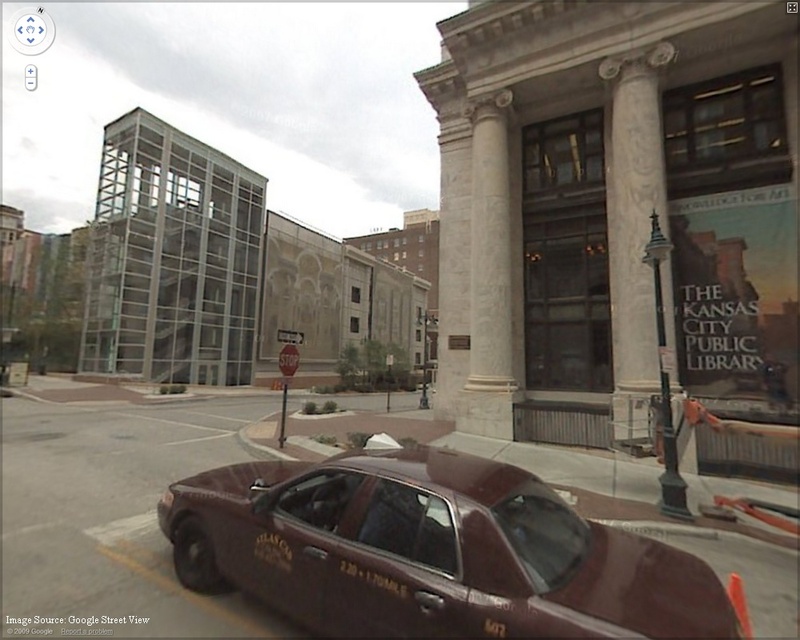 Actual library is across the street on the east end of giant book shelve as seen in GE street view capture given below. The book spines, which measure approximately 25 feet (7.62 metres) by 9 feet (2.74 metres), are made of signboard mylar. 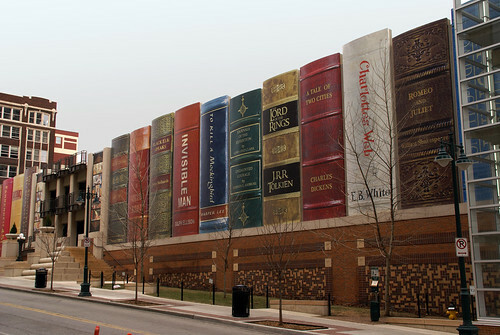 22 titles (full list) are showcased on the book shelf facade reflecting a wide variety of reading interests as suggested by Kansas City readers and then selected by The Kansas City Public Library Board of Trustees. Update - A Collection of Bookshelf Murals Around the World has been added on April 21, 2015.